When it comes to problems that people face related to nerve impingement, it can affect more or less any part of the body. Arms, legs, back, neck, and anywhere in between - there isn’t a spot in your body that can’t hurt or even lose sensation under the right circumstances. Okay, that sounds pretty gloom and doom... Don’t get me wrong, for every pain, there’s a treatment that seeks to find the cause and resolve it. That’s what we do here at Living Well Medical in NYC; we are multidisciplinary precisely because it gives us more range for treatment. That aside, arm pain can be a major problem. We use our arms and hands for more or less everything; when there’s any significant impairment, you tend to notice (and worry) pretty quickly. So what can arm pain mean? 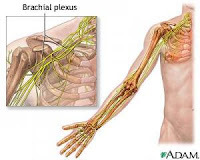 Of course, as we’ve already noted, one of the main reasons that we see arm pain is nerve are being compressed and become inflamed, limiting their ability to function normally (and causing pain, numbness, and other symptoms). Specifically, arm pain is usually related to the cervical vertebrae, those of the neck. Some of the nerves that exit there innervate the upper body and arms, so impingement of those nerves can lead to dysfunction of motor skills, loss of sensation and pain. So what impinges nerves? The short answer is: lots of things. For one, your spinal discs are a big contributor. 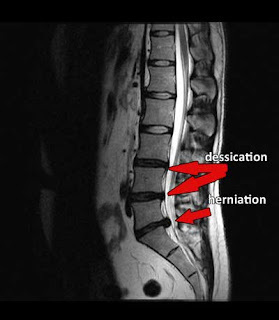 Especially as we get older and our discs lose their fluid more easily, a herniation or bulge is not uncommon. That doesn’t always mean pain, but it can certainly be one of the problems. Musculoskeletal issues can also cause impingement. In all cases, diagnostic studies like MRIs, NCVs and EMGs need to be conducted to confirm a neurological problem; different problems will require different tests. Ask your doctor to find out what you need. And what happens if the nerves are being compressed? Well, then you need treatment. At Living Well Medical in New York City, we provide only non-surgical treatment options. It’s our opinion that surgery has its place, it just shouldn’t be the first place. Treatments like spinal decompression therapy, Cox Flexion technique, Active Release Technique, traditional chiropractic adjustment, massage therapy, and acupuncture. The list goes on, but you get the idea. There are a vast number of treatment options that can be combined to get the treatment outcomes you need. If arm pain is giving your trouble, give us a call at 212-645-8151. We want to help you.